This was the second audio book that I've "read," and I enjoyed it very much -- love a memoir read by the author. I've enjoyed Anthony Bourdain on TV and though I'm sure I'd have heard his voice in my head as I read the words, it was truly wonderful to actually hear his voice. He's a great storyteller and it was fun to learn a bit more about the operation of a kitchen. 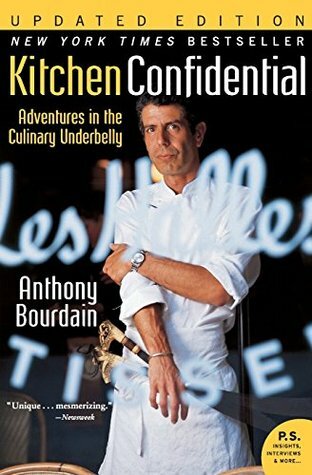 Sign into Goodreads to see if any of your friends have read Kitchen Confidential.